For nearly 20 years, VEGA has been market leader in the radar level measurement sector. Now the Schiltach-based company is presenting VEGAPULS 69, a sensor that takes a big step closer to the ideal of an all-round radar level measuring instrument for bulk solids. The level transmitter operates at a frequency of 79 GHz, which allows a considerably better focusing of the transmitted signal. In containers and silos with many internal obstructions, this enhanced focusing helps to reduce the influence of background ‘noise’. This means that reliable measurement is also possible even with complex internal structures. New microwave components allow the sensor to detect even the smallest reflected signals. Even products, which until recently were very difficult to measure because of their poor reflective properties (such as plastic powders or wood chips) can now be measured with very high reliability. This considerably extends the application range for radar technology in the bulk solids industry and opens up new application areas as well. With a measuring range of up to 120 metres and an accuracy of ±5 mm, the sensor has sufficient performance capability even for the out of the ordinary tasks, such as level gauging in mine shafts or distance measurement on conveyor systems. 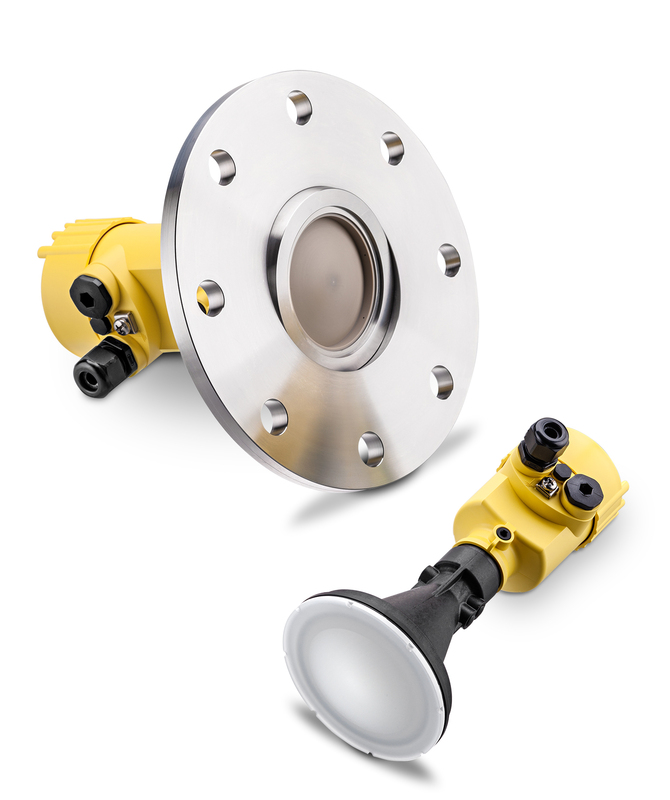 Despite its large measuring range, the sensor is also an ideal solution for small hoppers or containers; the different antenna designs enable the optimum solution to meet the application needs. Completely unaffected by dirt and buildup, the innovative lens antenna guarantees maintenance-free operation even in harsh environments. To make setup and commissioning easier, an intelligent App for smartphones has been developed. It allows quick and easy alignment of the sensor on a swivel holder.